A great snacking alternative to chips and soy-based extruded products. 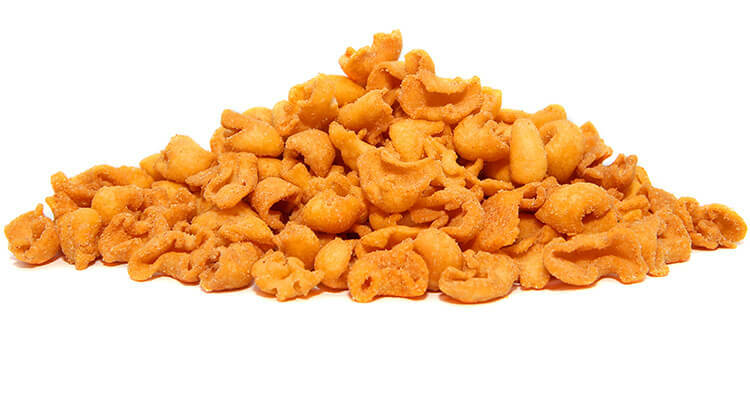 The base of this snack is chickpea, rice and maize flour, which are wheat and soy free. Grain & Pulse Flour Blend (Rice, Chickpea (17%), Maize), Sunflower Oil, Tapioca Starch, Sugar, Salt, Vegetable Powders (Tomato, Garlic, Onion, Celery, Shallots), Yeast Extract, Spices (Tamarind, Chilli, Cloves, Paprika), Natural Flavours.